READ 180 - Ms. P's classroom website! The computerized Reading and Language Art program used in the Resource Room has your child's success as their mission. 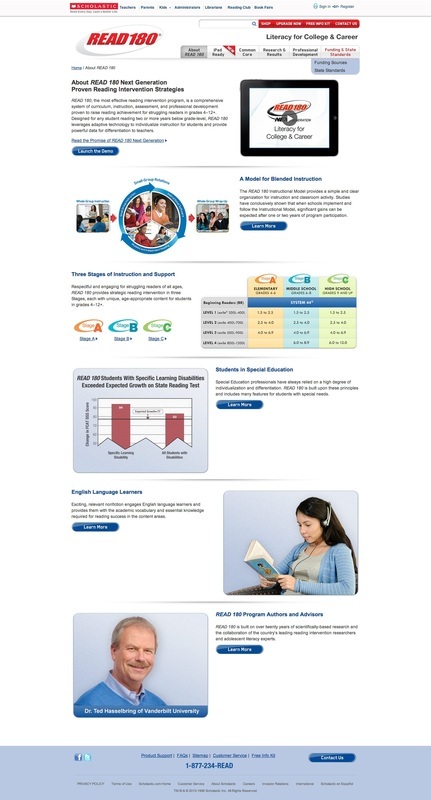 "Launched in May 2011, READ 180 Next Generation is the result of five years of intensive research and development. Informed by their experience serving over one million students a day in over 40,000 classrooms, READ 180 Next Generation reflects the best practices observed in the most successful implementations across the country. A suite of new technology, data analyses, content, and resources is designed to maximize student engagement, teacher effectiveness, and leader empowerment. READ 180 Next Generation represents the best of what is known about how to raise reading achievement for struggling adolescent readers. "